Did you know that the Play button is now the most compelling call to action on the web? Virtually every major social network includes video for their users. Just last month, LinkedIn introduced the ability to record, upload, and play videos within your feed, and initial results show that videos are shared 20 times more than any other content. If we’re already seeing video play this kind of role in content consumption, what does the future look like? Well, by 2020, Cisco forecasts that 82% of all internet traffic will come from online video. 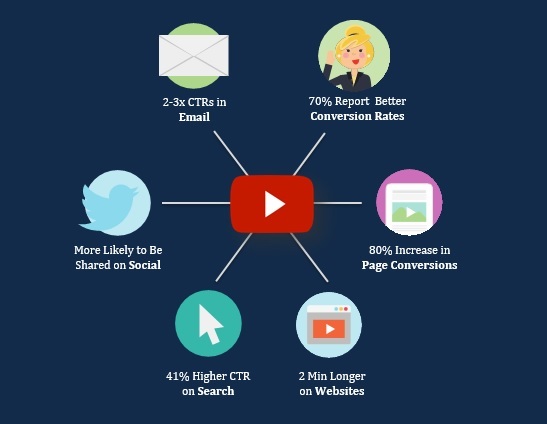 I’m going to stop with the factoids because if you require more research data to convince you that video is going to be THE most consumed form of internet content in the near future, you’re probably not going to get much value from the rest of this post — which is more about how to start adding video to your mix than why. The way people consume content is changing and as marketers we have to shift along with them. I’m not saying you should stop producing written content. But it’s time all thought leaders, marketing teams, sales teams, and customer-first companies learn about the equipment, skills, and publishing tools available to create video content as easily as you do written content. The good news is that it’s easier than ever to do. But wait, don’t you have to be a professional? Until the past decade or so, video equipment and editing software were incredibly expensive and difficult to use. 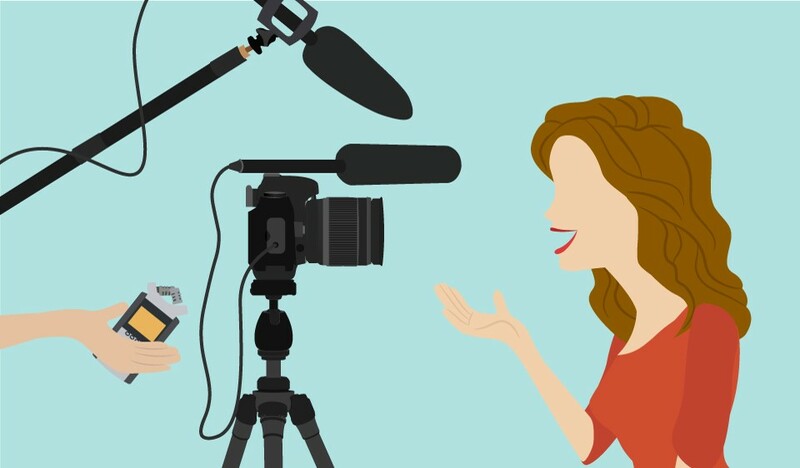 If you wanted to make a corporate video, you typically had to hire an outside production company to write the script, create the storyboards, film it, edit it, and so on, which could easily set you back between twenty-five to fifty thousand dollars. Since so few videos were being produced — and all were designed to be broadcast-level quality — the bar was set really high. Fast forward a decade. Thanks to high-bandwidth home networks, mobile networks, and a decade of smartphones, the generation entering the workforce right now is used to both creating and consuming video. YouTube serves up DIY videos on almost every topic, not to mention those adorable cat videos — and we’re watching a large chunk of them on our mobile device. Anyone can make a video and you can watch them anywhere. These two paradigm shifts, along with the effectiveness of multimedia as a communication medium, have enabled video to become the preferred method of consumption in the digital economy. All of these amateur videos have lowered the accepted norm for video production significantly. That doesn’t mean the quality isn’t good, or that you shouldn’t produce good content. It simply means you don’t need to hire full-fledged production companies and actors anymore to produce your digital content. You will need to buy some equipment and software if you’re going to add video into your marketing mix. But the tools to shoot and produce video are available to everyone these days, from individuals and small businesses to enterprises. The most popular vloggers on YouTube spend less than $5,000 on video equipment, lighting, and software and they have millions of daily views of their content. Imagine the ROI of your marketing team getting the tools they need for under $5,000 and having that kind of reach and audience. Yep, it probably just hit you. The cost of entry is minimal, and more and more people prefer to watch video than read content. So, what’s the hard part? Simply doing it. Learning how to look into a lens and create content is a new skill you’ll need to acquire in the digital economy. The good news is that the ability to look into a lens and tell a story is a learned skill. It takes some practice of course, but virtually anyone can do it — which means you can learn how to do it, too. How did I learn the skills? I was contemplating my New Year’s resolutions a couple years ago, and I decided one of them would be to start making thought leadership videos for my company. I thought to myself, why not use the downtime of the holidays to bring out my inner Steven Spielberg and learn how to shoot and produce videos? I watched a few DIY videos for inspiration, and the next day I grabbed my iPhone and started recording my first of a 5-episode series called Drinkmas Time, where I shared how to make some of my favorite holiday beverages. I learned how to look into the lens, some basic lighting techniques, and how to shoot a few different camera angles to make the video more engaging. Honestly, it was easier than I thought. For five days I made a video each day, edited it, and posted it on Facebook. My friends enjoyed them, the positive reinforcement was fantastic, and by the end of the last episode, I could shoot and produce a video in under an hour. You’ll notice that I made the mistake of looking at the screen on my iPhone while recording instead of the lens in Episode 1. I’m not sure others noticed, but I did, and that’s the value of just doing it and learning the techniques. I also learned from this experience that looking into the lens of a camera and bringing the right level of energy is a lot different than having a 1:1 conversation. The camera “filters” out energy, so I learned you need to amp it up. In fact, you really can’t have too much energy in a video. I also learned that you don’t need to get your script perfect because you can shoot a few takes and edit out mistakes in post-production. Your audience will never know you flubbed a word or forgot what you wanted to say. And who doesn’t love outtakes if you want to add them on at the end for bonus entertainment value? Building on my newfound confidence in video making, I upped the ante a few months later by producing videos that incorporated multiple camera types, the outdoors, and music. I produced “How to Fly a DJI Mavic Pro Drone While Skiing” using a Mavic Pro Drone and a DJI Osmo action camera. I mixed in some music tracks and published it on YouTube and Facebook, yielding thousands of views. People even shared the videos, adding even more viewers. The experiments were over, and I’m now regularly creating videos for both work and pleasure. Earlier this year I was asked to speak on video production at Revenue Summit 2017, and I made sure to outline what equipment you should consider. Video editing tools (pick one): iMovie (free), Final Cut Pro ($300), or Adobe Premiere Pro ($30/mo. for businesses). You certainly don’t need all that to start. Heck, you can start with your smartphone and make videos for LinkedIn (go to the LinkedIn app, select video, select Yes, record, add, and you’re done!). But if you’re planning to make several different types of videos, such as the ones I list below, you’ll want the tools to be able to shoot whatever you dream up. How do you get your videos out there? I highly recommend you create a YouTube channel for your company if you haven’t already to publish your videos. You can embed the videos you publish to YouTube on your website as well. If you want to control the video experience, consider a video SaaS platform like Vidyard that is purpose-built for hosting and serving corporate videos. 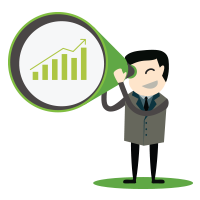 With Vidyard, you can manage your audience’s experience before and after the video, which you can’t do if you simply embed a YouTube video on your site. 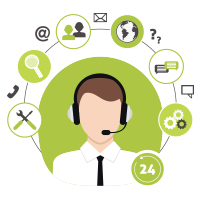 They also offer some tremendous analytics tools as well as personalized video, meaning you can dynamically embed each recipient’s name or company into the video. It’s pretty magical and you should check it out for yourself. In addition to your website and YouTube, you should also publish your videos on your social media channels. I mentioned earlier that LinkedIn joined the video game a few months ago. 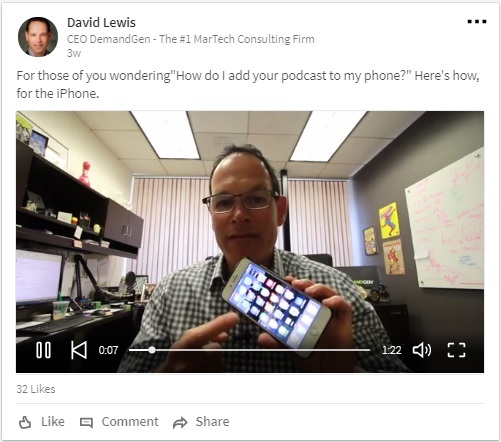 I took advantage of the new channel and created “How to Subscribe to a Podcast,” which had both instructional value and encouraged folks to add our DemandGen Radio podcast to their phone. Where’s the best place to begin? So, now you know without a doubt, it’s time for you and your team to embrace video. The biggest hurdle is just getting started. If you’re having trouble finding the motivation, I encourage you to listen to Mel Robbins discuss the ways we unwittingly talk ourselves out of doing things — and how to move past it — with The 5 Second Rule. Start small, like I did. Grab your smartphone, practice recording video of yourself, and hone your technique. Then, try something fun you can share with your friends and family as you build your confidence and video-making skills. Whether you post it or not is up to you, but I’d love to see what you come up with so tag me in your first video if you can. By the way, LinkedIn videos are limited to 10 minutes, but I suggest you aim for 30 seconds up to a minute for your first video. Other ideas for LinkedIn could be about your team hiring, you attending a conference, sharing key takeaways from a post you read, or even thanking a teammate, client, or vendor for something. The point is, do it in video versus writing it. Just pick one and get started! Feeling inspired? The only thing left to do is take (and say) action! So impressed with all your accomplishments. You should be so proud of what you’ve contributed to the use of technology in marketing.